Dr. Arend Oetker is Managing Partner of Dr. Arend Oetker Holding GmbH & Co. KG. In addition he is President of the German Council on Foreign Relations and Honorary Member of the Presidential Board of the Confederation of German Industry e.V. (BDI). From 1998 through 2013 he was President of the Donors‘ Association for the Promotion of Sciences in Germany. Ludwig Fresenius continues the long tradition of education and science of his family as entrepreneur and great-great-grandson of Carl Remigius Fresenius, the founder of the Laboratory Science School from which Hochschule Fresenius (Fresenius University) evolved. The former sole shareholder of Institut Fresenius is Honorary President of Fresenius University. Hermann Kögler is a Business Management Graduate and has many years of management experience in industry in the fields controlling/finance, for instance at Thyssen- and E.ON group. From January 2004 through June 2016 he was Director of COGNOS AG and acted as its Board Spokesman from July 2011. Prof. Dr. Marcus Pradel was a member of the board of directors of COGNOS AG from 2011 to 2017, responsible for Management & Design, International Affairs and New Business. Since 2003 he is a professor of management, marketing and media business at Hochschule Fresenius University of Applied Sciences. For twelve years he served as a vice-president for Higher Education Development and International Business Development. As managing director he was responsible for the founding of operating companies of the Hochschule Fresenius in Cologne, Hamburg, Munich, Dusseldorf, Berlin and New York. In 2017 he has been appointed Honorary Senator of the Hochschule Fresenius. Dr. Pierre Gerckens is publisher, editor-in-chief and media manager. He was Chairman of the Managing Board of Handelsblatt GmbH and Südkurier Group and Managing Director of publishing group Georg von Holtzbrinck GmbH. In addition he was Vice President of the Federal Association of German Newspaper Publishers (BDZV) as well as Chairman of the Administrative Board of publishing group Handelsblatt GmbH. At present he edits the Tagesspiegel newspaper in Berlin. Johanna Oetker studied German literature and linguistics, Romance literature and linguistics, and history in Berlin und Aix-en-Provence. After attaining a Master’s degree she worked in dramaturgy at various opera houses in and outside of Europe. 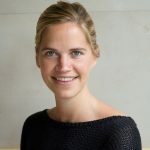 She has also gained varied and extensive international experience through her involvement in the companies and participating interests of Dr. Arend Oetker Holding GmbH in the food industry and and various corporate bodies. Professor Dr. Dr. Franz Kaspar is Chairman of the Administrative Board of Josefsgesellschaft (JG Group. rehabilitation provider and hospital operator). Torsten Steinhaus is an attorney-at-law and tax consultant at Steinhaus & Prof. Dr. Griesar.